This past Wednesday was filled with some super hot trout fishing action. The lesser than desirable weather had caused the fishing to be really hot out there. We experienced some of the large green caddis, and they were pulsing off all throughout the day. We only had about one hour and a half of really hot dry fly action, but fishing a large dry fly with a possie bugger nymph was the hot producer out there otherwise. The possie bugger nymph caught lots of fish all day long ranging from 10"-17" (most ranging from 12"-14"), and here and there a fish would clobber the large dry fly offering as well. From about 1-2:30 there was a cranking green caddis hatch peak hatch time where the fish were looking up and pouncing upon every green caddis struggling to take off from the water. It was "what it is all about" out there, and we got to experience it! 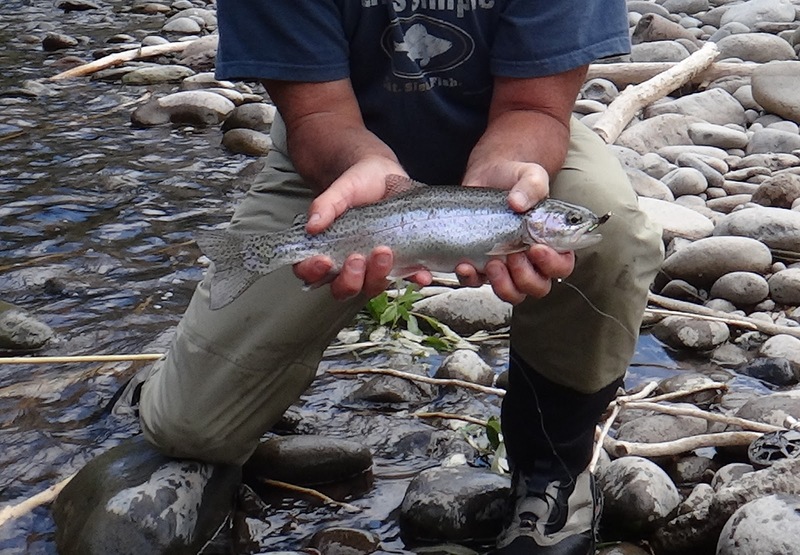 The benefits of having some showers out there keeps the trout fishing really hot. The first heavy pulse of green caddis action made the action really pick up. 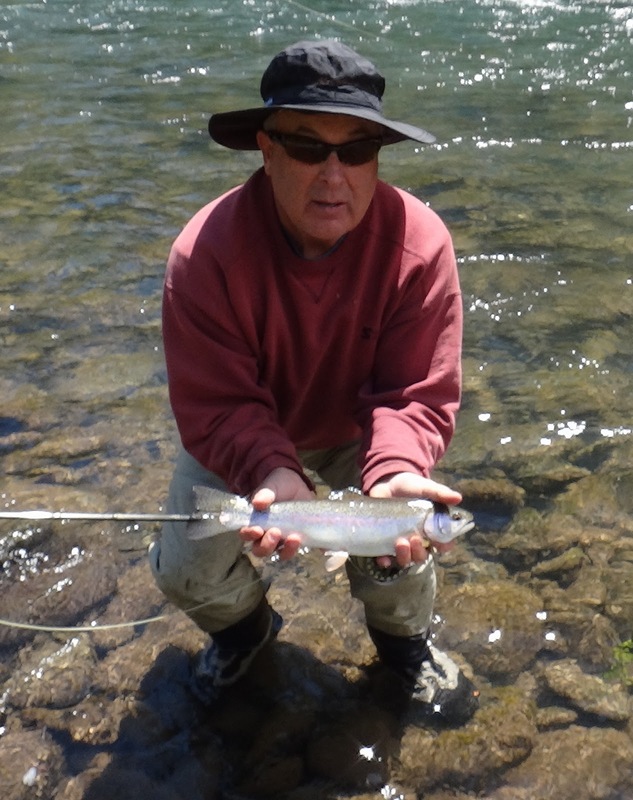 When fishing a dry fly and dropper nymph, it is apparent how important the nymph is.